Lots of fog again today! The mists cleared a little in the afternoon, still under heavily clouded skies. 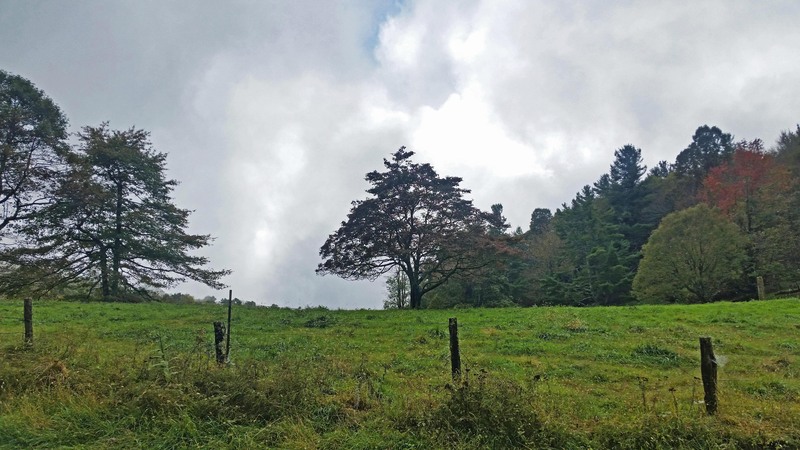 This view of a few trees along the Blue Ridge Parkway shows some subtle changes at the Blowing Rock elevation. View near Green Hill Road on the Blue Ridge Parkway, September 25. Elevation here is around 3600 feet.